In the words of one student: “Applefest is the best day EVER!” This year’s fun-filled, educational event will be held Wednesday, October 22nd, from 1-3pm at the Galiano Community School. We are looking for donations of apple varieties for tastings. 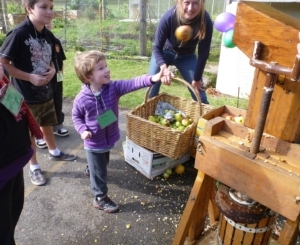 If you can spare a few apples for some tastings, or are able to volunteer your time to help us set up and run the activity stations, please contact Colleen at galianofoodprograms@gmail.com. Thank you and we hope you can help support this special event for the kids.